Social walls can create a fun and interactive experience for your event attendees. The opportunities to share and connect adds value to your guests, vendors, and sponsors. But social walls are popular with event planners for another reason. Aside from displaying social media streams at your event, you can customize social walls to meet the goals and needs of your event. Showcase Your Hashtag – At a minimum, you need a custom hashtag for your event and social wall. Your hashtag is how you track the posts related to your event and display them on your social wall. 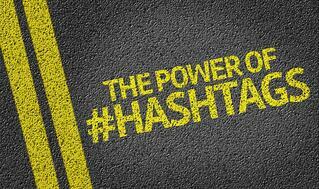 Hashtags also add a unique element to your event and create a feeling of exclusivity for your attendees. Highlight Your Event Agenda – You can use your social wall for more than just attendee posts. When you display your social wall on monitors around your venue, it’s the perfect place to add information about your event’s agenda. This visibility to your agenda will help your attendees find valuable content while they enjoy your social media feed. Feature Your Sponsors and Vendors – Your social wall is going to get a lot of attention, and your vendors and sponsors are trying to get in front of as many attendees as possible. Why not sell advertising space on your feed? Your business partners can get more exposure while you increase your return on investment. Add Your Logo and Tagline – Along the same lines as the point above, your social wall is a great place to display your company logo or tagline. Use your social media platform to create more exposure for your event and your business. Display Announcements and Changes – If you have a custom mobile event app, like the event apps offered by MeetingPlay, you can push notifications to your attendees’ mobile devices in real time. But why not add announcements to your social wall, as well? It’s a great way to make sure your attendees are always in the loop, so they don’t miss a moment of your incredible event. Every event you plan is different. You need features that will allow you to create unique experiences for each one. Mobile event apps, like those offered by MeetingPlay, allow you to customize your event app to meet your needs, including the incorporation of social walls. Take advantage of the suggestions above to keep your attendees informed and engaged, while highlighting your business and your sponsors. Reach out to us to discuss your specific requirements and learn more about how we can create unique mobile app features that will amaze your attendees and vendors.